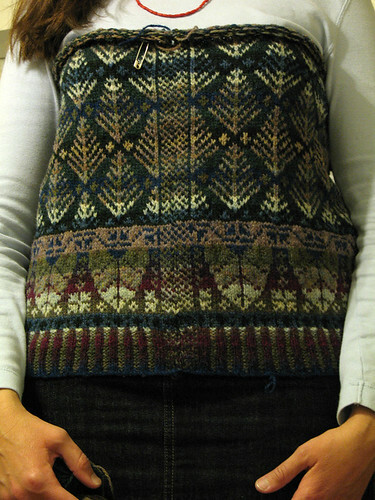 I'm trying to get my vest done in time for Rhinebeck. 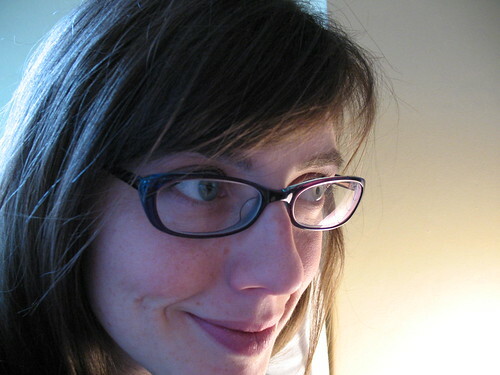 Sorry I've been so quiet lately, but I'm trying to stay focused and take advantage of every scrap of free time. I also didn't think that a daily progress shot would be all that interesting, since it's growing at a snail's pace. But it's still an absolute joy to work on, if not the most portable project in the world. 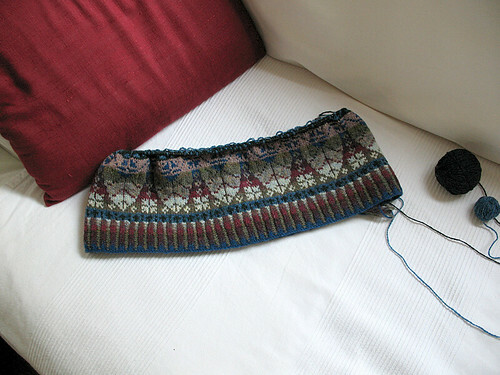 I've reached the arm/neckhole decreases, so I think it's quite possible that I'll have it done for the big weekend. The big question is: how difficult will it be to get the button band "just so". In my experience, it can be a fiddly and frustrating task getting it right. 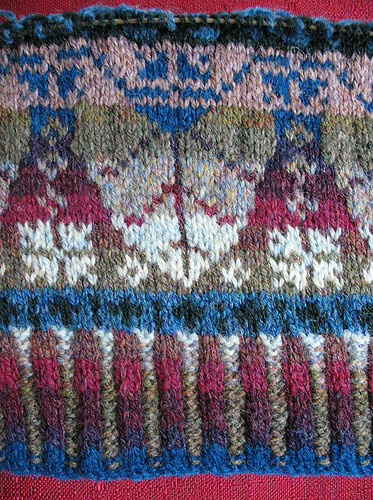 It would be a shame to have all that lovely fair-isle marred by a puckered or loose band. Wish me luck. Anybody else going to NYS Sheep and Wool Festival? Are you knitting something special for the occasion? You know how some knitting projects are effortless and seem to knit themselves? I'm talking about the kind of project that unrelentingly compels you to "just knit one more row" because each new colour and pattern addition delights you more than the last? The Oregon vest is that kind of knitting. I've been working steadily on it for the last week, loving every minute. Thanks Alice! - and tell you about what I may or may not be doing with my new spinning wheel.